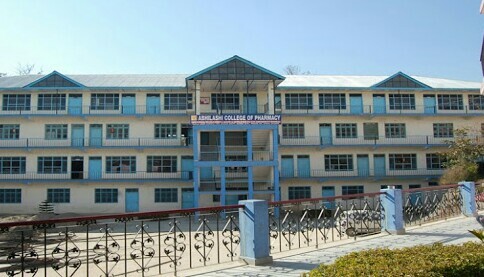 Abhilashi College of Pharmacy (ACP) Tanda Mandi district himachal pradesh is located in Tanda NerChowk. The college have 2 acres of land area with 4800 square metres built up area. Abhilashi college of pharmacy have got three storey building with spacious classrooms, administrative block, library and 14 laboratories. Abhilashi college of pharmacy is affiliated to Himachal Pradesh Technical university, Hamirpur. Abhilashi College of Pharmacy was established in 2006 and is one of the first Pharmacy college in Himachal Pradesh. To take Admission in B. Pharmacy Course offered by Abhilashi college of pharmacy mandi, students have to pass state level Entrance Test conducted by HPTU, Hamirpur. Abhilashi college for pharmacy is situated in village Tanda near Ner Chowk. It is at a distance of 12 km from Mandi & 16 kms from Sundernagar.